3-1-5 Health Clubs are something more than a gym; our clubs aren't created to be a place that people go to "spend" their free time; instead we want our members to view our clubs as an extension to their lifestyle, a place where the entire family can be together, doing things they enjoy, in an environment people want to return to. 3-1-5 is somewhere with the ambience and vibe to make anyone of any age comfortable; as well as make exercise, getting fit and staying fit an enjoyable experience - a hub for the community feeding the physical, social and spiritual needs of our customers. 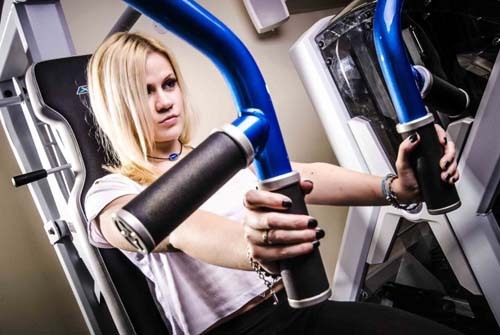 The key to our success is hinged on the X-Force negative training equipment and the extraordinary results its able to deliver for every ordinary person. The accompanying 3-1-5 exercise concept has been widely touted as the future of fitness, providing you a solution to effective results in a timeframe within the expectations of even the most savvy buyer. Being able to provide members with physically visible and sustainable results means our members are happier, which means they participate more often and pass our message on; coining our mantra of "Raving Fans, Participating Regularly, Referring Friends."